Being creative is my passion. 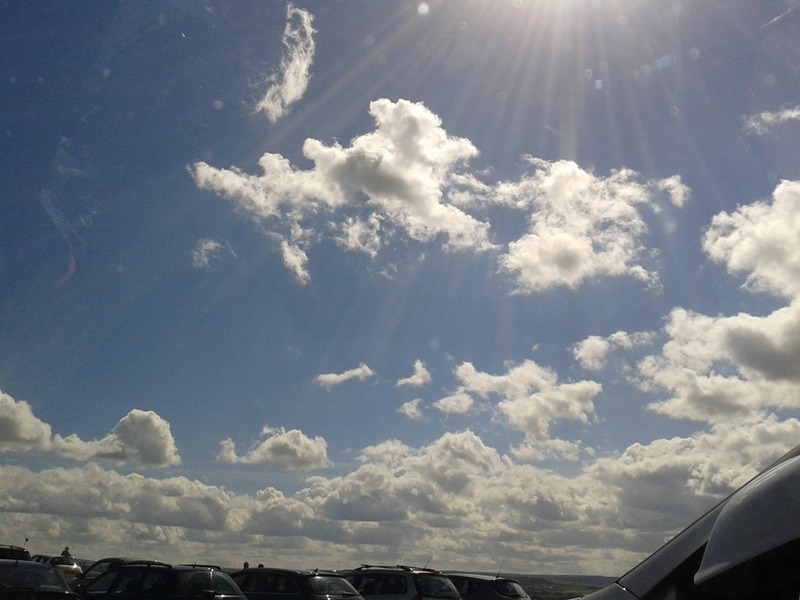 I hope you enjoy reading about my crafty experiments! 16 weeks old. 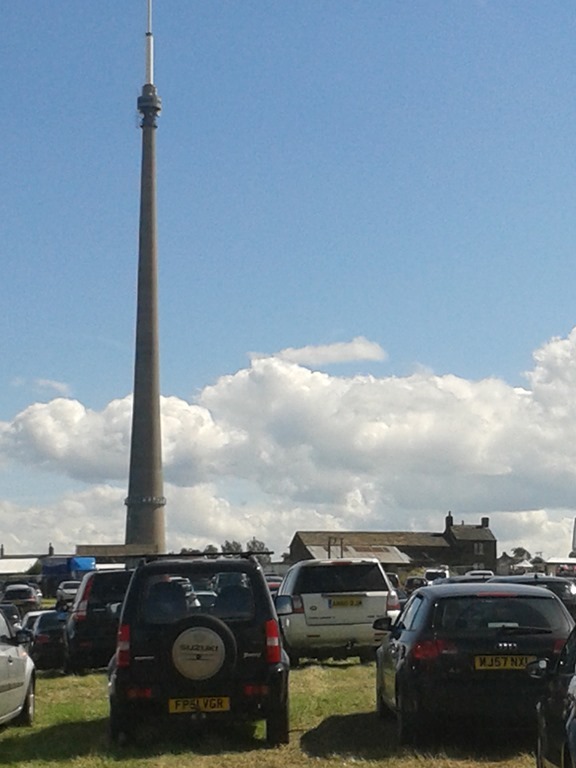 How did that happen already??!! 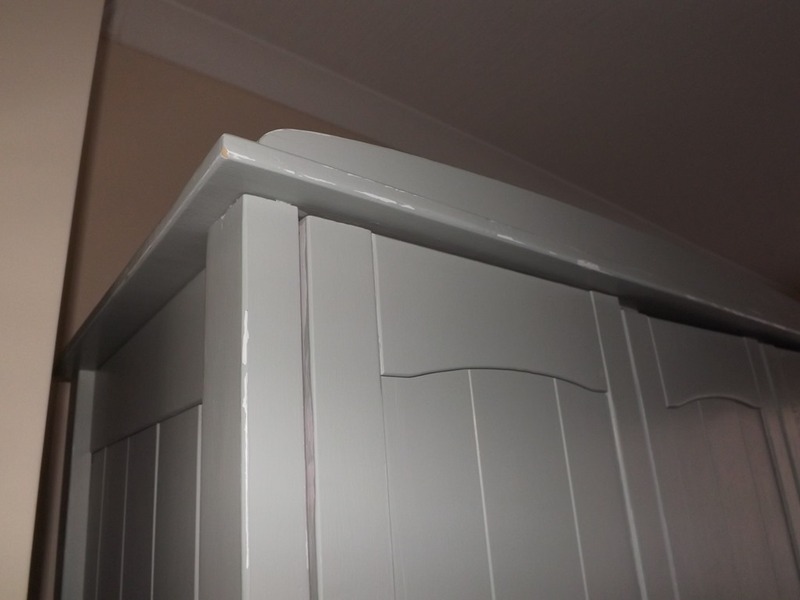 Two rented properties ago, R and I bought a really cheap flimsy pine wardrobe and chest of drawers that we thought would “put us on” until we could afford something better quality. When we moved from our old flat to our last house we thought it probably wouldn’t survive another move as it was pretty rickety. However, when it came to moving again this year R persuaded me to give it a chance and promised he would sure it up a bit to make it strong enough to stay in use, at least in our spare room. 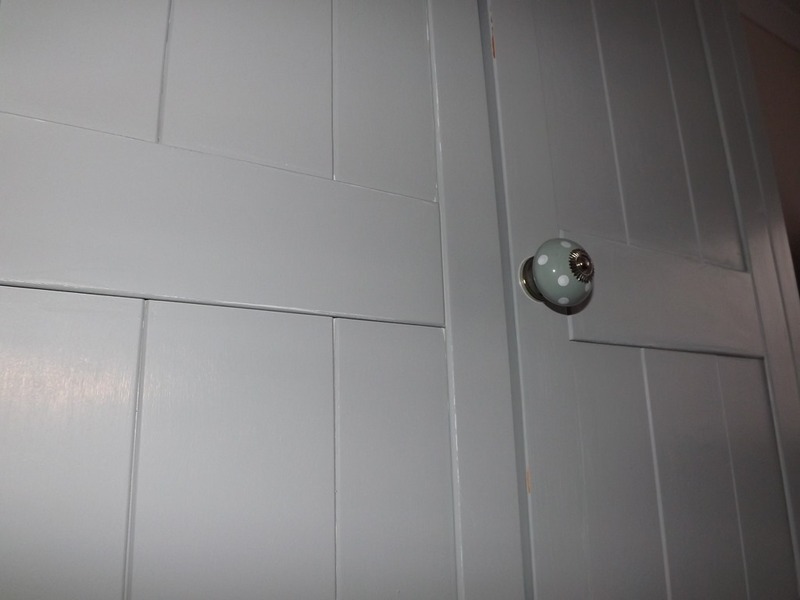 I agreed – on one condition… the pine finish had to go! 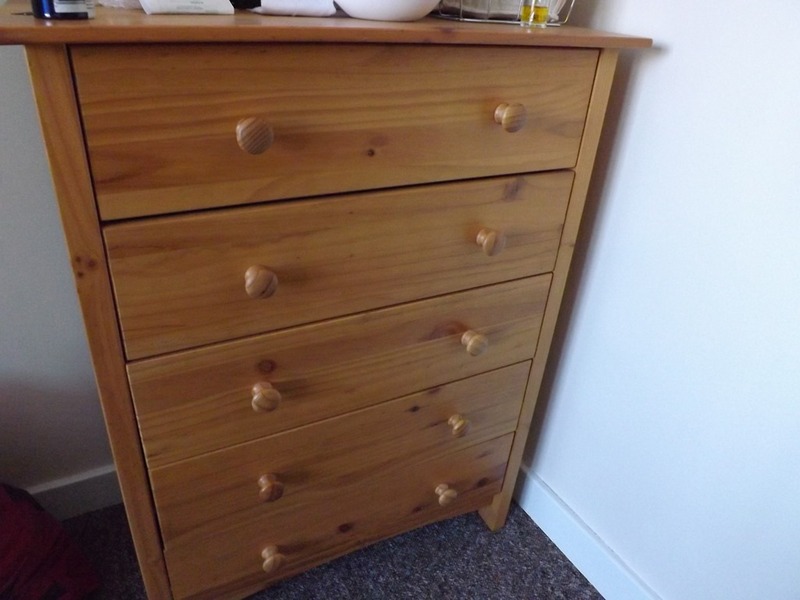 I forgot to take a photo of the wardrobe before we started but here is a picture of the matching chest of drawers so you can see the original style. Not very attractive, I’m sure you’ll agree. So we set about a transformation! 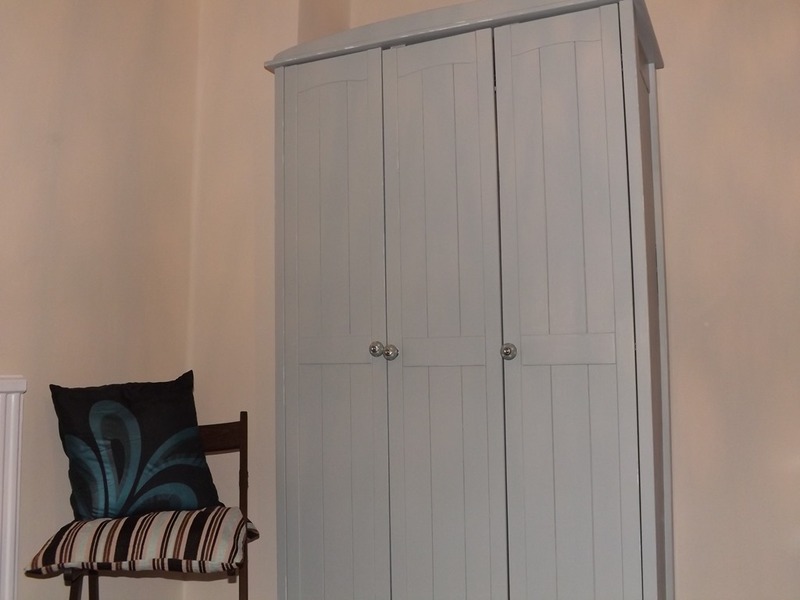 At first I thought the best thing would be to paint the wardrobe white and I bought some spray paint and some lovely new handles in a light green with polka dots that matched the curtains in our spare room. I say “spare room” but it is the room we’ve been in since we moved as what will eventually become our bedroom is still a general dumping ground. I digress. The spray painting was easy to do but we were really unsatisfied with the finish. It appeared quite “stripy.” I’m sure it was probably our technique rather than the product’s fault (we used Rust-oleum Universal spray paint in satin white) but we also didn’t achieve the coverage stated on the pack and had to buy more than we’d initially estimated and we still didn’t like the final effect, even after two coats. We’d thought the advantage of spray paint would have been not having to prime the wood first but in the end it would have been a better option! 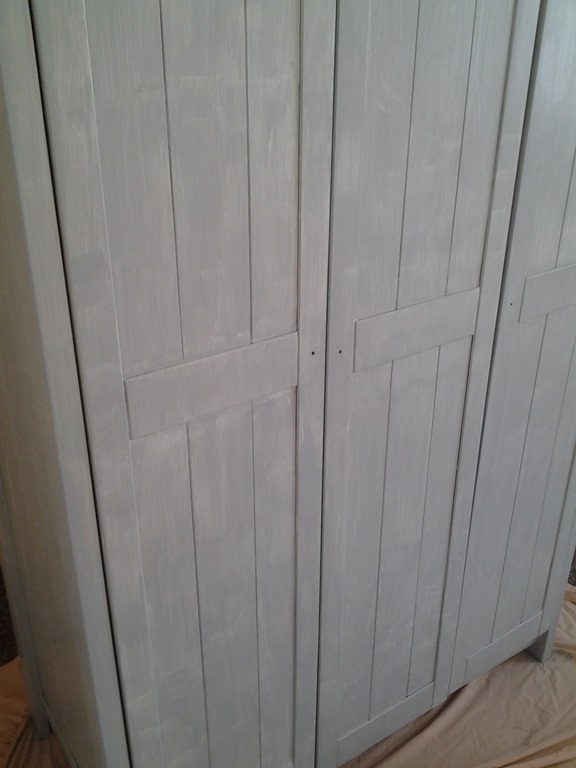 Anyway, I won’t keep you guessing any longer – this is what it looked like after each panel had two coats of the spray paint and the wardrobe was re-built (with lots of extra screws to keep it together!). That’s R on the right, busy applying the next finish! The handles did look nice on it when I tried them out – but it needed a better finish and I didn’t like the white in this room. 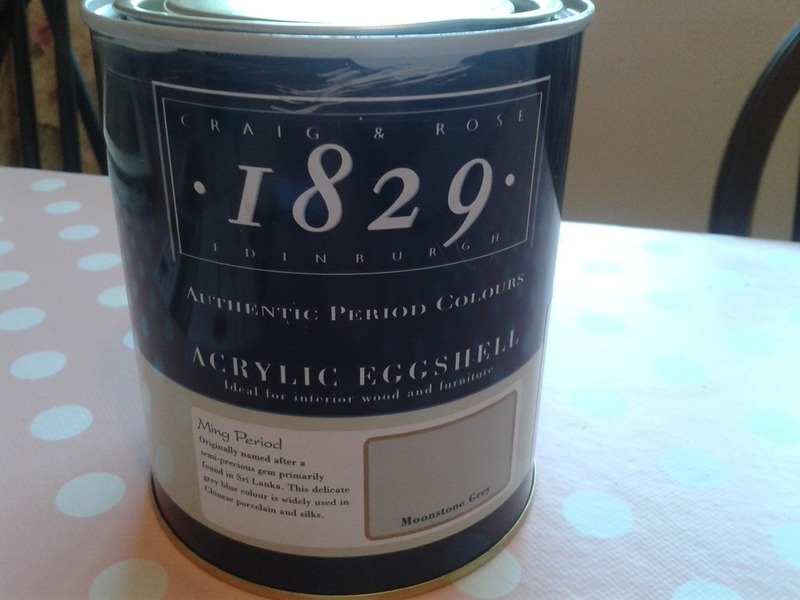 So I decided I’d like a greeny-grey colour to complement my curtains and the dark wood furniture in the room and thought I’d look for an eggshell paint. I settled on this Acrylic Eggshell in Moonstone Grey by Graig & Rose from B & Q. 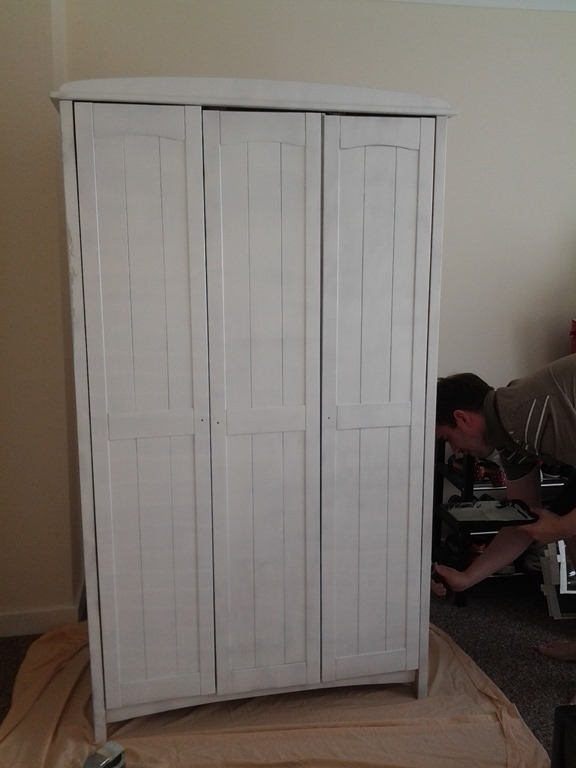 It was a bit of a punt really as I felt inspired to get on with it and didn’t want to spend ages poring over the different options and never getting around to actually painting the wardrobe! So I decided to trust my instincts and just go for it! This was after the first coat. Pretty rough – lots of brush marks! We applied two coats of the eggshell paint by brush (we tried both gloss and emulsion rollers and both gave an awful finish!). 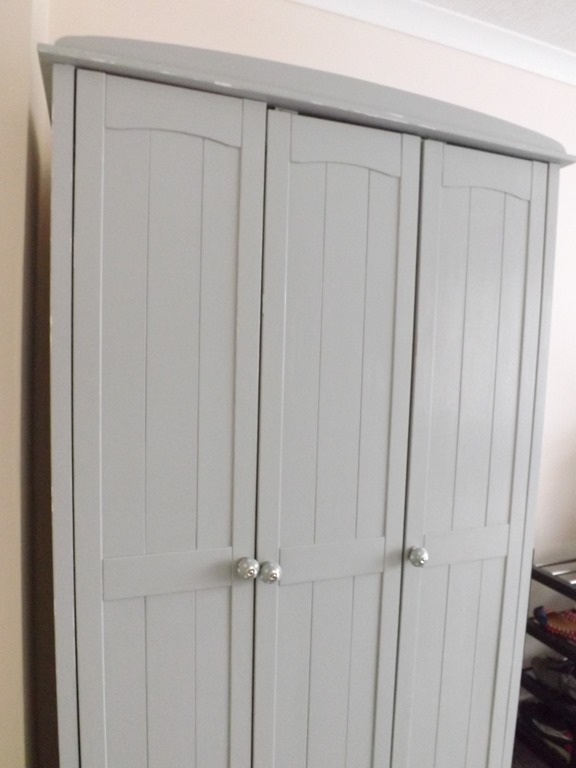 Once it was dry I reapplied the handles (which now blend in more than stand out as I’d originally intended) and decided to lightly distress the wardrobe in places to give it a bit more character. To do this I just used some fine grade sandpaper and went back to the wood in some places and in others just back to the white coat underneath, which looks quite effective although I wasn’t very brave with it and it doesn’t show up in the pictures too well I’m afraid. It was all a bit of an experiment but was good experience and I think we’ve turned something ugly into something much more attractive – I hope you’ll agree! We’re planning a bigger project further down the line that I will report back on here eventually, and the experience with the wardrobe will be invaluable I’m sure. Doing this project has reminded me how much I love painting – I can’t wait till we own a home one day and I can paint walls not just furniture! Next Next post: Let’s get crafting!